Kenjutsu is a generic term used for classical Japanese swordsmanship. There are many styles that were developed throughout samurai times in Japan. This can include the use of various sizes and styles of swords (katana 刀). 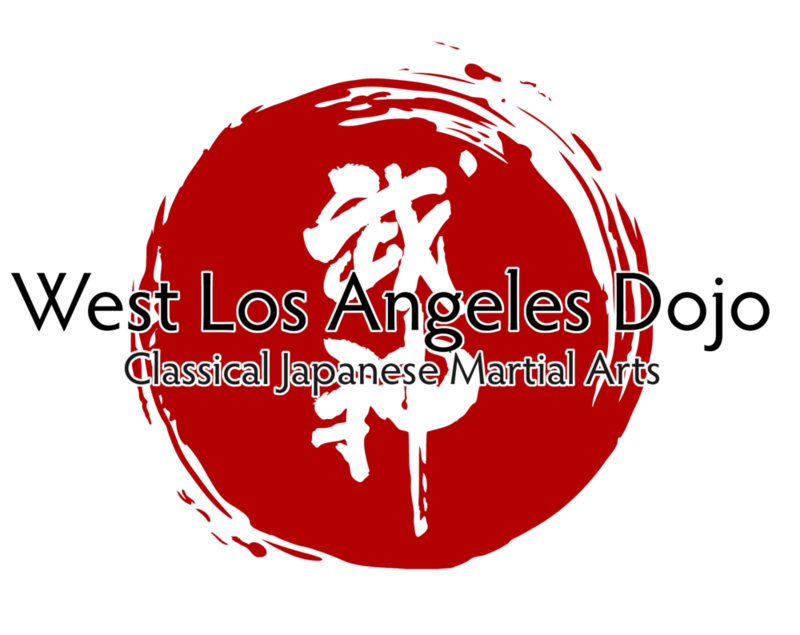 Within the West Los Angeles Dojo, our focus will include a progressive etiquette and safety. Tantojutsu/Kodachijutsu utilizes small blades ranging in size. In our dojo, the student learns the method of wielding the short blades against swords and other long range weapons, as well as defending against small blade weapons. Battojutsu, also known as Iaijutsu 居合術, is the classical method of drawing the sword (katana). Usually this consists of using a live blade and includes both drawing (Batto抜刀) and re-sheathing (Noto納刀) the sword in multiple ways. In our dojo, the student learns sword drawing as a separate skill, and then gradually integrated into kenjutsu combat skills. is the term for one of the traditionally made Japanese blades in the form of a spear, or more specifically, the straight-headed spear. The martial art of wielding the yari is called Sōjutsu and this long range pole weapon incorporates stabling, slashing or knocking away an enemy or their weapons. is one of several varieties of traditionally made Japanese blades in the form of a pole weapon. Naginata were originally used by the samurai class of feudal Japan and consists of a wooden or metal pole with a curved single-edged blade on the end. Naginata can be used to batter, stab, or hook an opponent and are often spun and turned to proscribe a large radius of reach. The jutte is a long batton with a small hook used to trap sword blades. They vary in length and design and were later utilized by the military police during Japan’s Edo period 1603-1868. In our tradidtion, this is considered a “close-quarter combat” weapon. The student will learn how to utilize the jutte, along with other close-quarter weapons against swords and other longer-range weapons. The skills learned in regard to timing and distance are critical to any an all aspects of classical Japanese martial arts. This falls under the category of “flexible weapons”. The Kusari Fundo is a chain approximately 45 cm in length, with weights on either end and is used for striking, receiving or wrapping up an enemy or weapons.